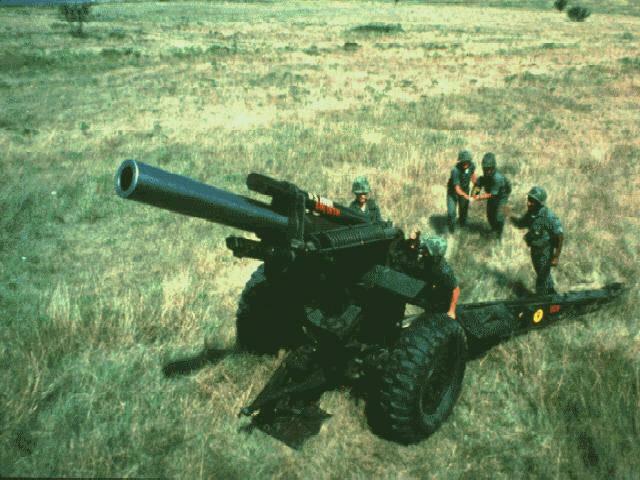 The M114 155mm howitzer, which was replaced by the M198, is a towed weapon first produced in 1942 as medium artillery. The weapon uses NATO standard 155mm ammunition, with a range of about 14,000m, and was used during World War II in Korea, and in Viet Nam. Until recently they were in service with the National Guard. Like the M108, the towed M114A1 was considered obsolescent by the time it was deployed to Vietnam. It was no match for the 155-mm. self-propelled weapon for supporting conventional ground operations against a highly mobile, armor-heavy enemy. In Vietnam, however, the M114A1 proved invaluable because it was light enough to be displaced by helicopter and so could provide medium artillery support to infantry forces even where roads were nonexistent. The 155-mm. 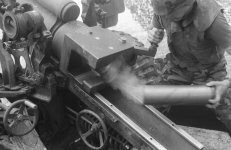 howitzers, whether towed or self-propelled, had a maximum range of 14,600 meters, over 3,000 meters greater than that of the 105-mm. howitzer. The weight of the 105-mm. projectile-95 pounds-was almost three times the weight of the 105-mm. projectile. For these reasons, the 155-mm. howitzers could provide a welcome additional punch to existing direct support weapons. It remains in service with Argentina, Austria, Bosnian Federation (116 delivered in 1997), Brazil (99), Cambodia, Canada, Chile (including Marines), Denmark, El Salvador, Ethiopia, Greece, Iran, Iraq, Israel, Italy, Jordan, South Korea, Laos, Lebanon, Libya, Morocco, the Netherlands, Norway, Pakistan, Peru, the Philippines, Portugal, Saudi Arabia, Senegal, Somalia (6), Spain, the Sudan (12), Taiwan (including self-propelled model on M108/M109 chassis), Thailand, Tunisia, Turkey, Uruguay, Vietnam, the Yemen and Yugoslavia (which produced a similar weapon called the M65). The Congress authorized $100 million of surplus DoD equipment and services for Bosnia under Section 540(b) of the FY96 Foreign Operations Appropriations Act (P.L. 104-107). The U.S. equipment being provided to the Bosnian Federation under drawdown authority represents an important but not complete part of their overall military equipment needs, which were identified by the Department of Defense in a study completed in February, 1996. 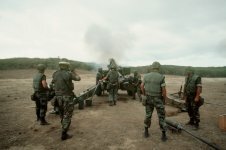 Field artillery was identified in the DoD study as one of the most critical requirements to give the Federation the ability to react if the Bosnian Serbs were to resume shelling their population centers. While searching for sources to provide field artillery, DOD discovered the availability of U.S. Army M114 howitzers which were being declared excess defense articles. Since they are NATO-standard and would be available only for the cost of refurbishment, the decision was made to obtain 261 of them. 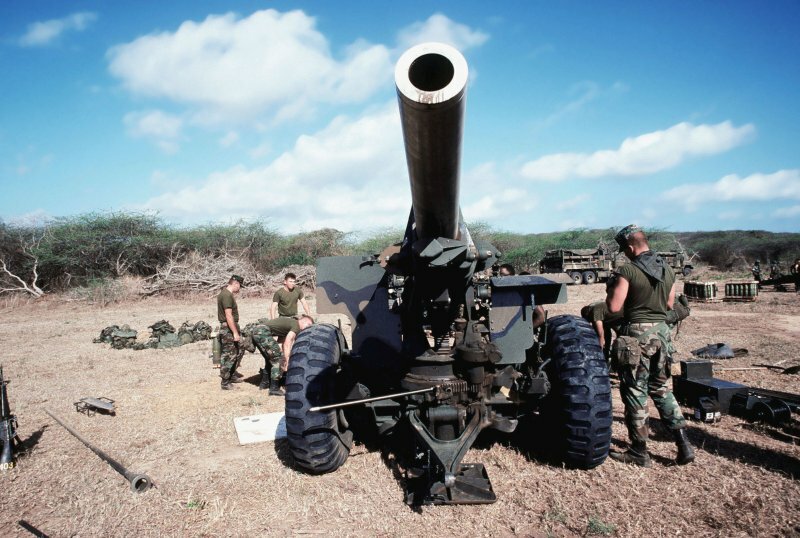 Using some of the remaining drawdown authority to provide for refurbishment and ammunition, the US was able to provide approximately 116 fully mission-capable howitzers. (The other 145 were used as sources for spare parts in the refurbishment process.) This fulfilled a critical need for the Federation and provides NATO-standard equipment at minimal cost.